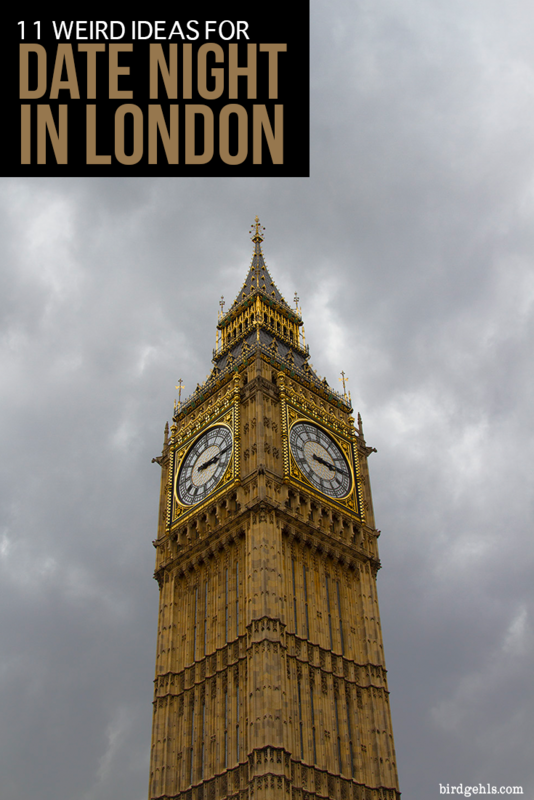 You can easily come up with fun date ideas in London – the joys of living in a big city!. So, you’ve managed to nab yourself a hot date and you’re keen to impress. You don’t want to stick with the tired, old formula of dinner and drinks or just drinks. Yawn. You want this night to be memorable, or lead to a second date, at least. Or, you’re already in a long-term relationship and you’re looking for some romantic things to do in London (or not so romantic, as it were). Your other half has enlisted you in organising the next date and has heavily hinted that if you take them out for one more dinner and a movie routine, it may be the last date you ever go on. With them, at least. Either way, you’re looking to mix things up a little bit. And holy moly – have you come to the right city, or what? 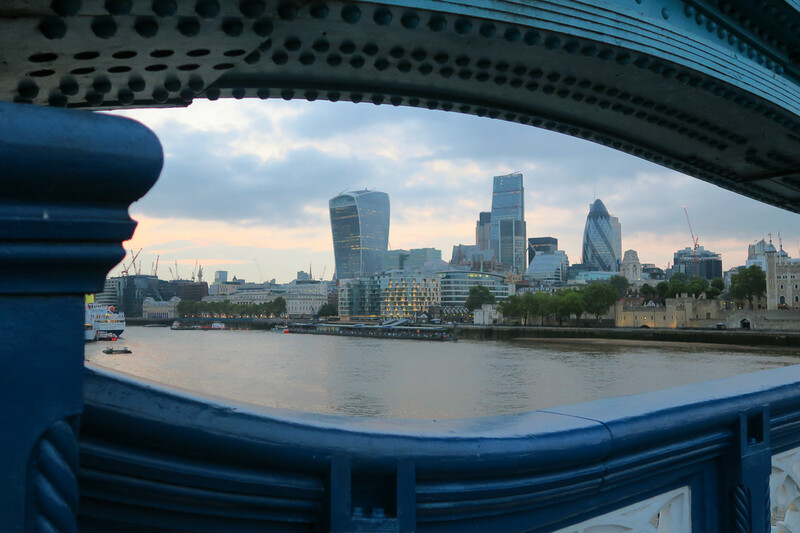 Here are some fun and unusual date ideas in London, whether you’re single and ready to mingle with a special someone, or in a long-term relationship. 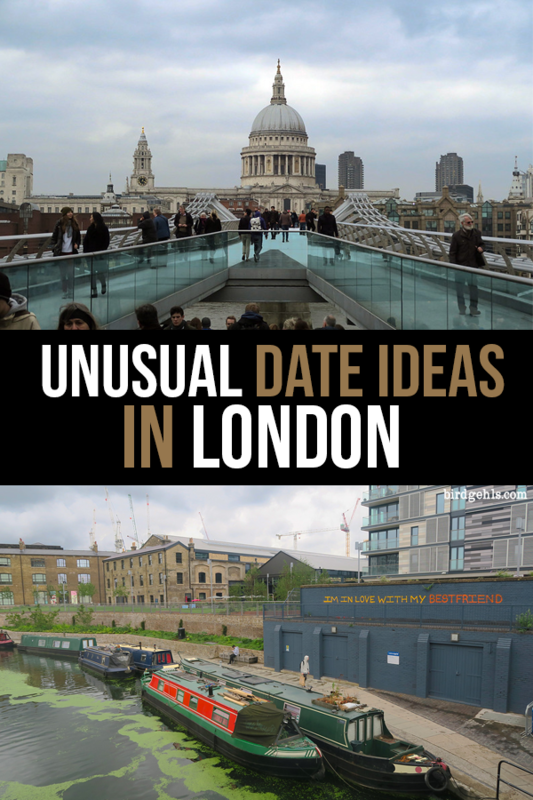 Here’s one of the more unusual date ideas for London. Forget ten-pin bowling, axe-throwing is the new group craze, which is also proving to be popular amongst couples. It is what it sounds like – you go to the venue and hurl axes at a target. Whoever gets the axe to hit the target the most (and gets the most bullseyes from there), wins. This rather seems like a bit of a hipster twist on the year I went to a shooting range in the state of Georgia, USA on Valentine’s Day (the date was coincidental). There were couples there celebrating the date, oblivious to the irony of the situation. Oh, how I love (and am frightened of) the South. Anyhoo, I digress. If you’re single and looking to mingle, Whistlepunks also organise speed-dating axe-throwing nights. Meeting the love of your life at such an event would certainly give you a story to tell the grandkids. Then, tell them how you feel! 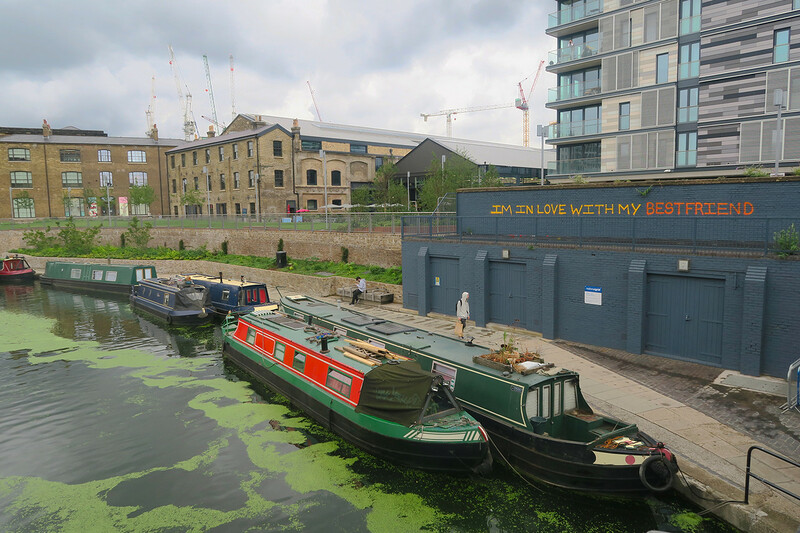 If you’re after something a little more low key – why not take your date or other half on a lovely kayak along the somewhat beautiful Regents Canal? I say this because while I enjoy looking at it, I would hate to fall in. God knows what’s lurking beneath its surface. I feel the same way about the Thames. The tour to Windsor comes with the added option of throwing a bottle of bubbly into the mix. I can’t imagine anything nicer than sitting in a kayak with a glass of champagne, in front of a royal icon. Yet, that’s just my personal preference. Or for a date with a bit of a macabre twist, why not take your love on a stroll down the murder mile? It’s certainly one of the more unusual dates you can go on in London. You not only learn about famed Jack the Ripper, but there are various other serial killers thrown into the mix – Dennis Nilsen and the Soho Strangler amongst others. Turns out the streets of London are stained with blood. And red is too the colour of passion, no? The facade of Dans le Noir. Could not take photos of the food for obvious reasons. Most of the best dates revolve around food, but I personally like the venue to have a bit of a twist. Dans le Noir? perfectly fits the bill, as a restaurant where all food is served to patrons in the dark and you’re not told what you’re eating until, well, after you’ve consumed your meal. When you arrive at the restaurant, you’re asked to lock all your valuables and phone away, before you’re given menu options – all vegetarian, seafood or meat (or a mix), two courses or three. A blind server then leads you through pitch darkness to your table, where you sit knee to knee with your date. You’re given the meals, left to guess what you are putting in your mouth and eventually abandon the use of cutlery, as no one can see you and presumably everyone else in the vicinity is doing the same. At the end of the meal, you’re shown what you ate. You discover you put your most hated food, tomatoes, in your mouth. You chewed and you actually enjoyed them. You leave the venue questioning everything you know. Okay, I know that this post was meant to be filled with suggestions other than your standard “let’s meet at a bar, have a drink and get to know each other, winky-face”. 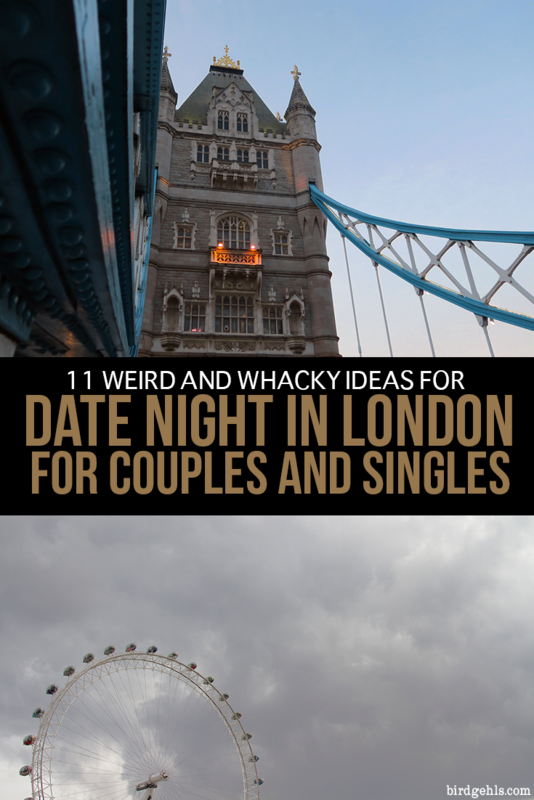 Yet, this might be one of the more romantic things to do in London at night, at least as far as this list is concerned. Champagne bars however, offer a nice twist in this regard, mostly because they just look so darn cool. My pick would be The Hide Bar, Mews of Mayfield or Champagne Charlie. I’m operating purely on the decor, here. Cecilia and Bjorn Bjornsson go on a romantic, candle-lit date. Nothing says “I love you” more than “I love you enough to go to taxidermy class, stuff a dead mouse and arrange it into questionable poses and shapes”. 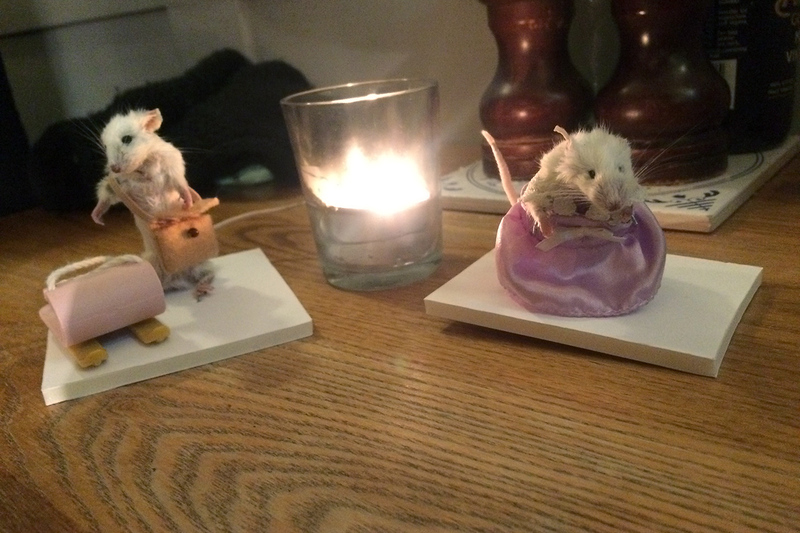 If you’re looking for a more quirky date idea for London, a taxidermy class will certainly hit the spot. The British Academy of Taxidermy offers up a range of classes, the most popular being the anthropomorphic mouse class and squirrel taxidermy. I attended the mouse class in 2017 (and plan to do the squirrel class when I’m next in town) and was both surprised and delighted by how many couples were in attendance. One in particular who were sat opposite us, were determined to take their new skills to taxidermy (taxidermise?) the stout that they’d had chilling in their freezer for the last two years (it had apparently been road kill, but was in great shape). There’s something delightfully cool about ping pong, in a nerdy way. It’s particularly enjoyable when both food and drinks are on offer, too. Bounce Ping Pong hold an array of activities – from traditional ping pong, to Wonderball (played on top of a giant computer). While the city sleeps, you’ll be dancing. Although waking up early is never fun (unless, I guess you’re a morning person or something), attending an early morning rave is anything but a pleasant way to start the day. You scramble out of bed, put on your dancing (or raving) shoes, journey to the venue, chug a green smoothie or knock back a shot of espresso and dance your heart out before heading off to work. And yes, all of this is done sober. It’s actually a lot of fun and will keep a smile on your dial for the remainder of your working day. I have actually been on a date to the Planetarium and as a space nut, I loved it. There are generally multiple shows going on at the Peter Harrison Planetarium at once – some are seasonal as well (or planned for special events, like Valentine’s Day), so keep an eye on the program for these sort of shows! Contemplative Llama at the Horniman Gardens. London truly is home to everything and anything… including multiple city farms. Many people cite Spitalfields as being particularly good. I haven’t been there myself, but did visit the small farm at the Horniman Museum a couple of years ago, I guess technically on a date with my then boyfriend. If your date is an animal nut, they’ll love it. If they aren’t… well, I don’t really know what to say to that. If you and your date are keen dancers, head down to the last intact ballroom in London, the Rivoli. The venue holds regular swing nights, along with other special events, such as concerts and movie screenings. I kick myself for not heading there for a screening of “The Shining” one Halloween – I can’t imagine a better venue for witnessing that Kubrick classic. So, there you have it – a good mix of strange activities that will either impress your new flame, or mix things up a bit for you and your current half. 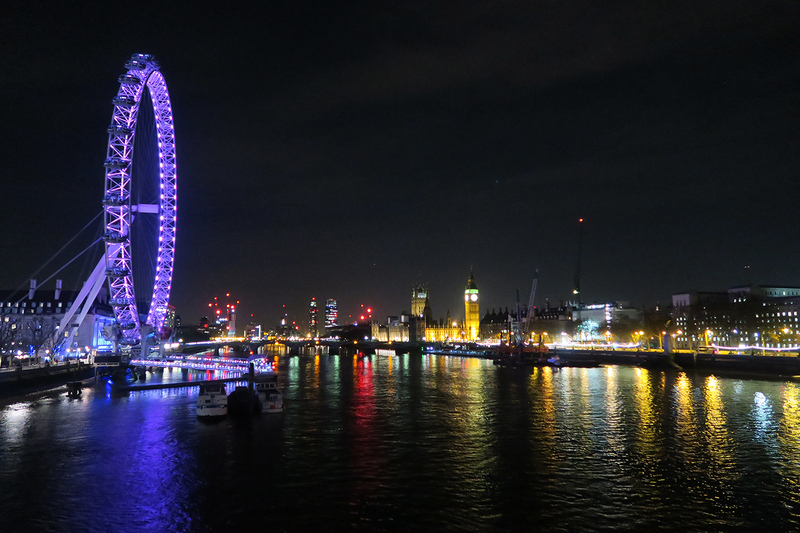 Either way, these are definitely fun date ideas in London and even if your night (or day!) is a stinker, you’ll probably have a good time, regardless. Would you be keen to do any of these activities? What’s the oddest thing you’ve done whilst on a date? Keep it PG. Spitalfields City Farm is awesome! 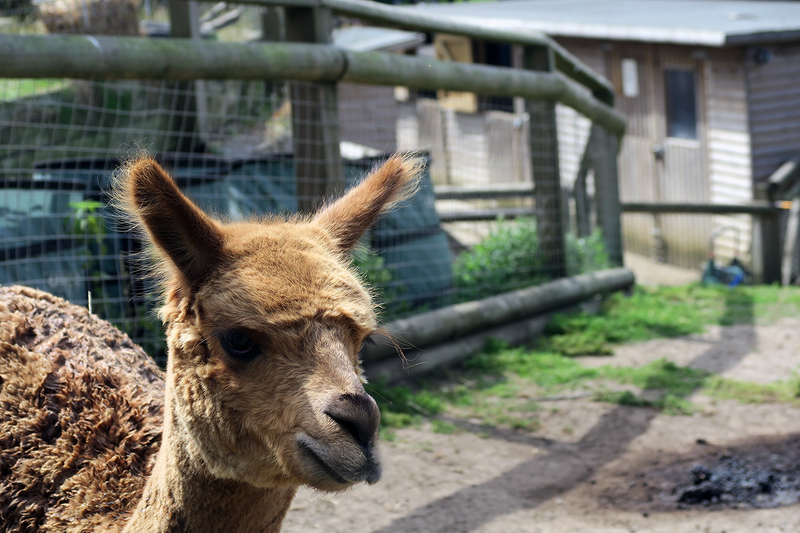 I visited a few weekends ago, and would say it does have the edge over Hackney City Farm (though that’s also worth a trip, and they’re basically next to each other). 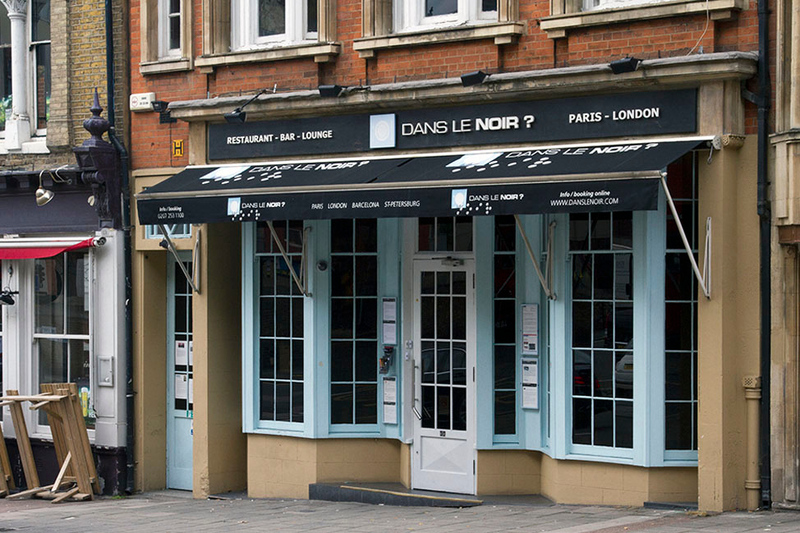 I’ve heard a few people mention Dans le Noir? – it sounds like an interesting concept, but I’d have to put my picky-eater habits aside for it… Liking the new theme by the way LC! Loved reading this. I’m a Londoner but have been abroad for the last 4 and a half years, always looking for fun things to do when I’m home. You’ve reminded me of The Rivoli ballroom (long time since I’ve been there) and my friend met her husband to be whilst kayaking in London. Fab and fun ideas, love it! Thanks Tanya! I love the Rivoli, I used to live not too far away from it. That’s such a nice story about your friend and her husband! Haha yeah it’s a good activity to do whether you’re dating or single for that exact reason! Haha let’s just say there’s an option here for everyone! Thanks Rob.